Brown Creeper has a taste. Ever since i was young boy I have loved birds and birdwatching, nothing is better than being up early, out in the woods and watching the birds go about their busy lives. For many years I pursued my love of birds, taking various field research jobs throughout the country and getting to know birds up close and personal. I met my wife Ann on a bird job and we worked for many years studying birds together. Now we have settled down and have two young boys who are as excited about birds as we are–nothing is better than watching them light up when a new bird shows up at the feeder. We are a very health conscious family and have chosen to eat organically, as locally as possible, and we make sure to feed our family the best foods possible. We have spent a lot of time researching food and agriculture in our country to help us make the best decisions food wise, both for ourselves and for our planet. In the process of learning about our countries food supply system and how it works, we have learned a lot about genetically modified organisms and in researching them became concerned about feeding them to ourselves and our children. This led us to also re-evaluate the foods we feed our family pets and our wild bird friends. 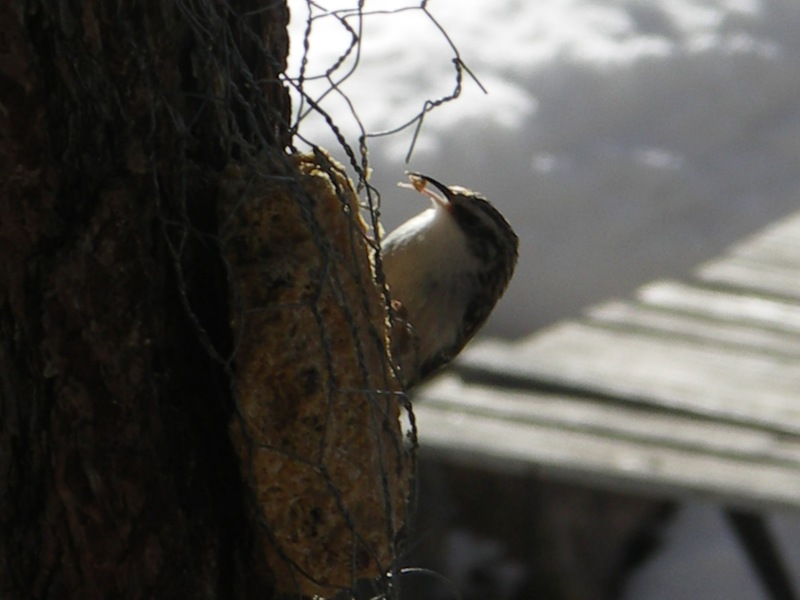 Now from our remote mountain cabin in Eastern Oregon we are happy to introduce a vegetarian, organic suet cake that you and your birds will both love. Made from 100% organic ingredients, our suet is free from animal ingredients and genetically modified crops and is sure to be a hit with your backyard birds! We hope you will not only support us in our goal to get GMOs completely out of bird food and suet, but look at your own diet and try to make changes there also. We want healthy birds and birders! !